The most important route in early America for the commerce and transport of goods were the big rivers. 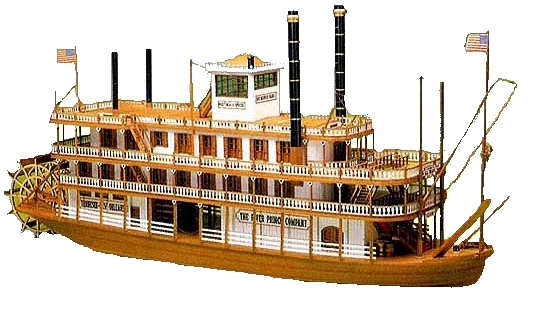 Good were sent on big rafts down the Ohio, Missouri, and Mississippi rivers to the port of New Orleans. With the invention of the steam engines, steam ships with big paddle wheels could sail against the current. One of the most perfect and beautiful of these ships was the famous Mississippi which could be found in St. Louis and New Orleans.